In honor of 4/20, some Bernie supports have started an online funding campaign to show their support for the Senator. Bring it on, Bernie. 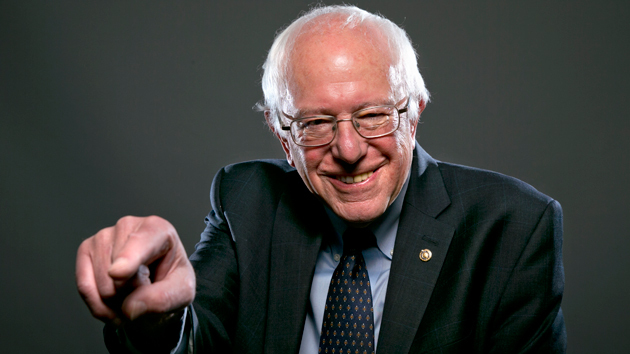 It’s safe to say that most cannabis users are feeling the Bern (pun intended.) Senator Bernie Sanders is the only candidate running who fully supports the legalization of cannabis, and some folks in the cannabis community have gone one step further to show their support for the Senator and are urging other cannabis users to do the same. In honor of 4/20, a most sacred holiday if you will, some Bernie supports have started an online campaign to show their support for the Senator and to encourage others to do the same. A donation of $4.20, $42, or $420 is suggested to send a message to the establishment that the fight for marijuana legalization is far from over. The average donation to Sanders’ campaign is a mere $27, but cannabis users are hoping to change that number, even if only for a day. Because of his pro-legalization stance on cannabis reform, many legalization activists have pledged their support to Bernie Sanders. Unlike Democratic front-runner Hillary Clinton, who only wants to reschedule cannabis, Bernie wants marijuana to be completely removed from the federal government’s list of dangerous drugs. Bernie is the only candidate left who has the best chance at introducing the idea of cannabis legalization to congress. He is very vocal about his views on cannabis and understands the failure of prohibition. In other words, Bernie knows what’s up. For all you Bernie supporters out there who are feeling the bern, take a few moments to donate some money to the Sanders campaign. Even if $4.20 is all you have, it’s still a donation and it will still help us get closer to some real change. Bring it on, Bernie. Would you donate $4.20 to Bernie’s campaign? Let us know on social media or in the comments below.